The U.S. Senate unanimously passed a resolution Thursday night supporting Israel’s strikes on Gaza earlier this week. 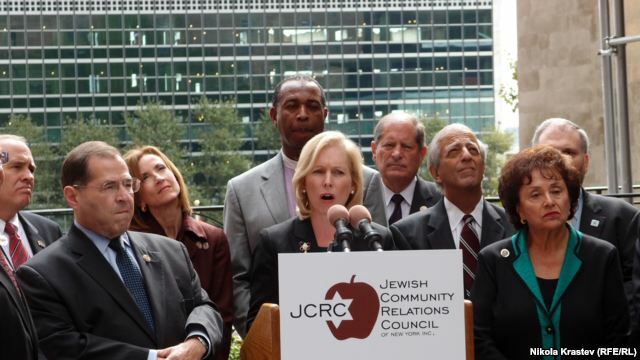 Sen. Kirsten Gillibrand (D-N.Y.) introduced the Senate resolution. Meanwhile, millions around the world are condemning Israel’s crimes against the Palestinian people and it’s illegal blockade of Gaza. A demonstration in Los Angeles was held Thursday in front of the Israel Consulate. Click here a list of global actions for Gaza.